Defending champion Ronnie O'Sullivan thrashes Barry Hawkins 17-7 with a session to spare to reach the World Championship final. 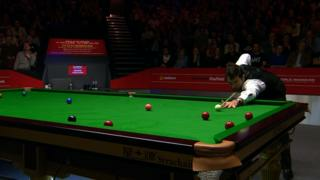 Beginning the evening session six frames ahead at the Crucible, the five-time winner extended his lead with a break of 76. Hawkins won two of the next three frames, but O'Sullivan, champion in each of the last two years, clinched four in a row to seal victory. 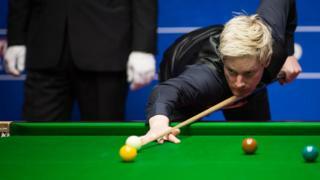 The semi-final between Mark Selby 9-7 Neil Robertson resumes at 10:00 BST on Saturday.